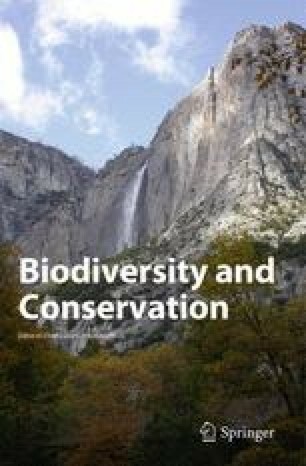 Due to conservation needs, reliable rapid-assessment methods for mapping of biodiversity are needed. One approach is to use surrogates, i.e. quantities that correlate strongly with the number of species, but are easier to obtain. The purpose of this paper is to test two polychaete surrogates, one for higher taxa and one for indicator groups, that will facilitate prediction of species richness in marine soft-bottom communities. Soft sediment is an important habitat which covers most of the ocean bottom. Data on polychaetes from the North Atlantic were used since polychaetes are often numerically dominant in the benthic assemblages, both with regard to the number of species and their abundance. In the polychaete assemblages along the Norwegian coast, richness at the genus, family and order level were significantly, linearly correlated to total species richness (r≥ 0.92). Polychaetes in the order Terebellida were found to be a good indicator of polychaete species richness and to a lesser extent also of whole benthic assemblages. The group Terebellida is potentially well suited as an indicator group, since it contains long-lived, large species that are easy to sort from the sediment and it is well defined taxonomically. Although promising as proxies for species richness in marine biodiversity studies, the use of lower taxonomic resolution and indicator groups requires further investigations in more local areas where there are conservation issues.